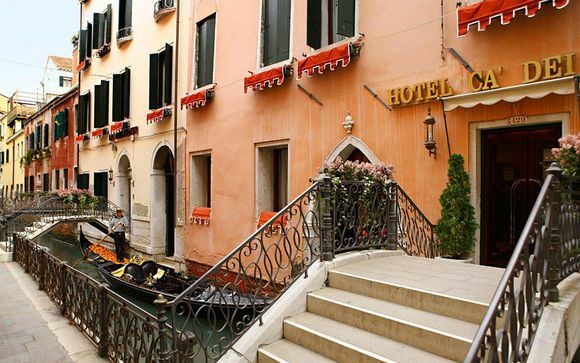 Weekends in Venice up to -70% off To take advantage of these offers, join now for free! 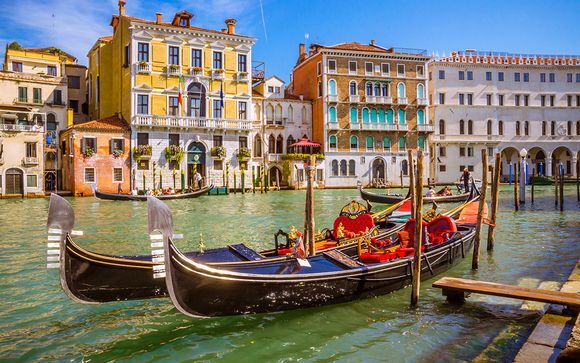 Planning a romantic break to Venice? Be inspired and find great deals on luxury romantic getaways to this city made for discerning lovers at Voyage Prive. 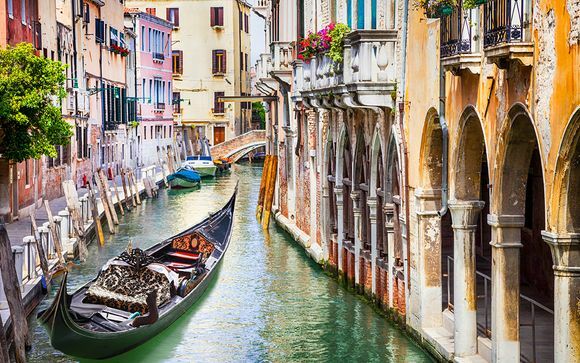 With its romantic, medieval charm and stunning waterways, Venice has been a city for lovers for centuries and it’s easy to see why Shakespeare chose it as the location for The Merchant of Venice, one of his best-loved romantic comedies. 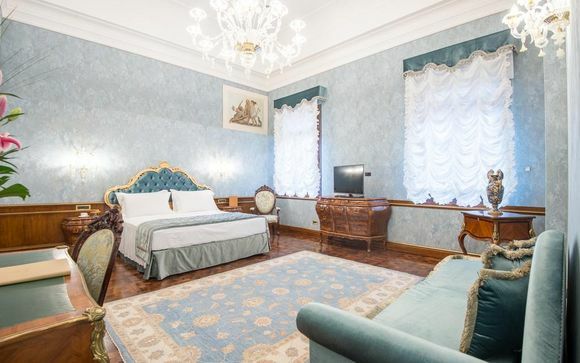 You and your partner can follow in the footsteps of Portia and Bassanio in this city that elegantly marries modern luxury and convenience with ancient glamour and beauty. 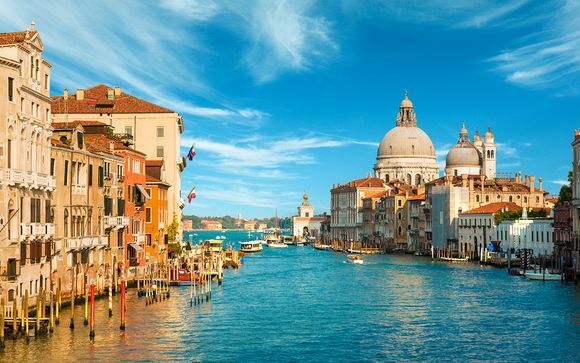 A UNESCO World Heritage Site in its entirety, a romantic city break in Venice will give you the opportunity to explore its bridges, canals and winding alleyways and discover why Venice deserves its place in a list of cities everybody should visit. 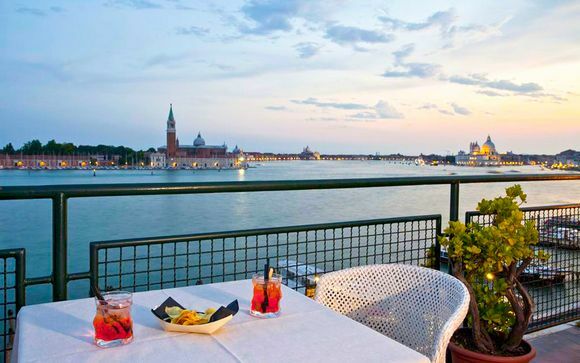 Lovers of the finer things in life visiting Venice for romantic weekends or longer getaways will feel instantly at home in one of a selection of luxury hotels. Our special handpicked offers just for couples guarantee the top-quality treatment you and your loved one deserve. Expect to find stunning marble interiors and expertly manicured gardens in which to relax and enjoy each other’s company. Venice’s coastal position and centuries as an international trading giant mean that food lovers will find a huge variety of exceptional cuisine, including extraordinarily fresh seafood, polenta and pasta dishes. Local delicacies include the world-renowned Sepe al nero: squid cooked in its own ink and locally caught cod cooked simply in herbs, oil and butter. Situated in a fertile wine region, you’ll be able to match your food with the perfect drop, turning every meal into a romantic moment to savour. 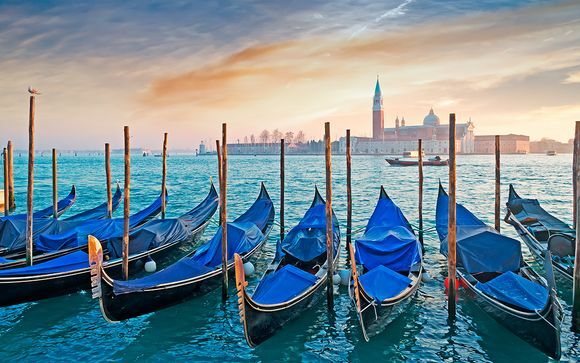 You can create romantic memories by enjoying a classic moonlit gondola ride with your lover along the canal network, taking in architectural wonders such as the Doge’s Palace, the exquisite church of Santa Maria della Salute and the ornate palace of La Ca' d'Oro. Known to locals simply as “La Piazza” or The Square, no trip to Venice is complete without spending time in St Mark’s Square. 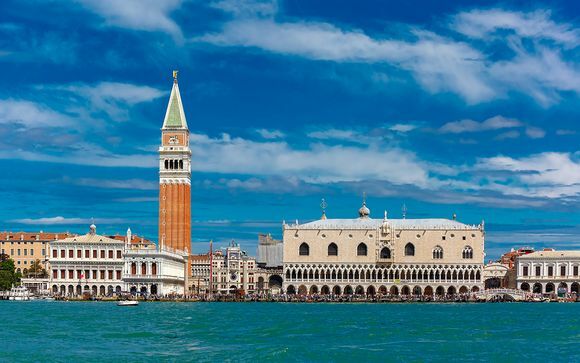 Enjoy a ristretto in one of the many cafes lining the square and take in the majesty and history of St Mark’s Basilica, which towers over the square. From here, you can also explore many of the city’s breathtaking attractions by foot. Italian cities are known for their seemingly effortless style and glamour and Venice is no exception. For couples who want to treat themselves, the shopping district contains some of Italy’s greatest fashion houses and art galleries, where you can purchase beautiful pieces, including the city’s famous Murano glass, as a memento of your romantic break.